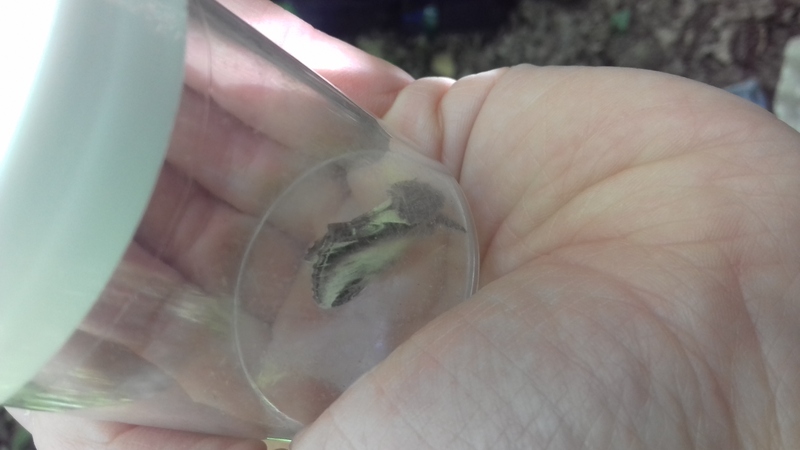 A sunny morning at Auchincruive provided us with an array of beautiful moths from moth traps placed in the woodlands on Auchincruive estate. Traps were placed at various locations at dusk the night before, with the hope of catching some moths on what was quite a chilly night. The group met at 10.00 and we took a relaxing stroll in the sun to see what had been collected in the moth traps overnight. 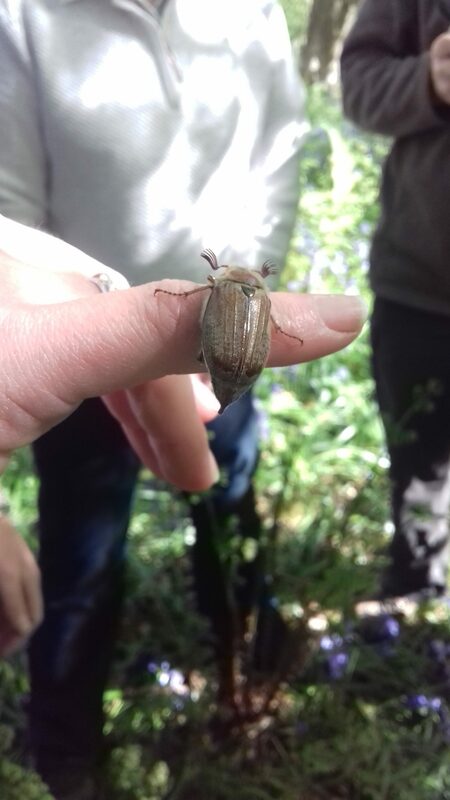 Despite the chilly overnight temperatures, and being quite early in the season, we managed to trap a good array of moths, and even several Cockchafer beetles, which are the species of the month for May. 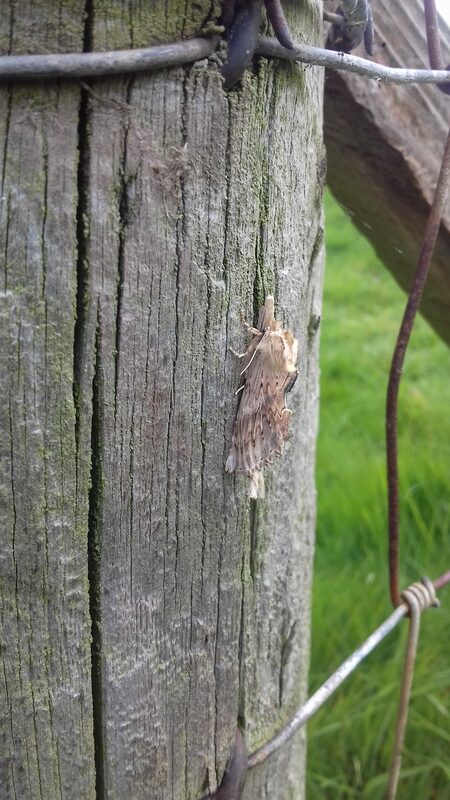 With the expert knowledge of Tom Vorsterman, a local moth recorder, we were able to identify most species on site. We put some in pots and brought them back to have a look at the ID books over some tea and cake. 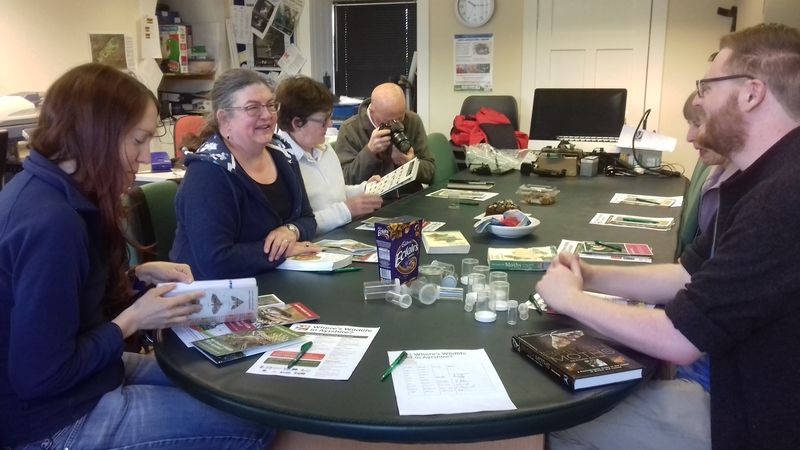 Tom also gave us an insight to his home made moth traps and how you can make your own for use in your back garden. A big thank you to Tom for running the session and to everyone that came along. We hope to have more of these sessions over the course of the project.